Well, Summer has definitely arrived! It has been so nice to see the sun shining for more than 3 days at a time! And leaving the house without a jacket and getting my Summer clothes out has been lovely! We are heading to Mallorca next week for 10 days and I am so excited to just switch off for a while, I feel as though I haven't stopped since finishing university! I went to Mallorca last year and it is such a beautiful island, so I am very happy to be going back this year! 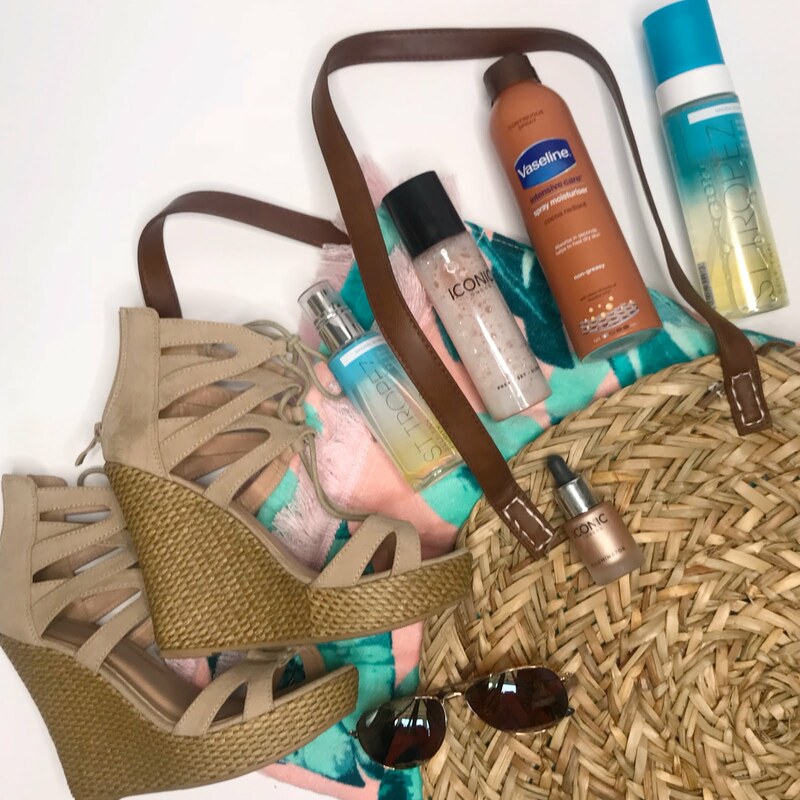 I have been getting little bits for the holiday each month so I wanted to write a post all about the essentials I take with me on holiday. 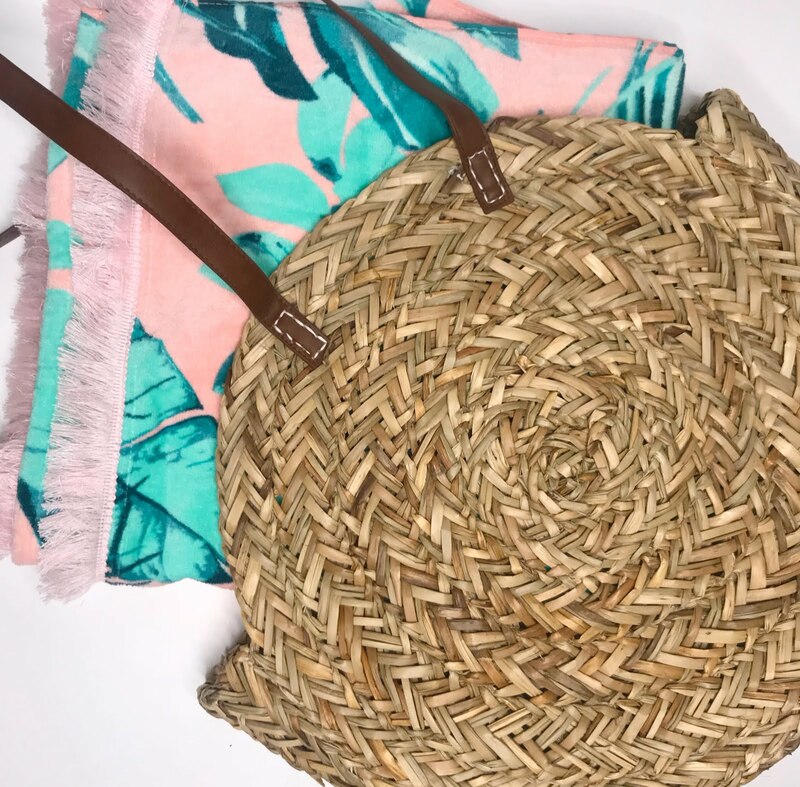 A good size beach bag is always useful to have around the pool or at the beach, you can store all your suncream, towels and any other items you need! I found this gorgeous straw bag on ASOS, I just love the rounded shape of it and it is huge! Some resorts do provide towels for the beach and pool but I like to take my own so I know which one is mine! This one is from Primark! I am loving anything with tassels and pom poms on, so I just had to get this one! This may not be essential but I like to take my fake tan with me to add to my natural tan. Unlike my mum and boyfriend, it takes me a while to build a natural tan so it is nice to have a bit of extra help! 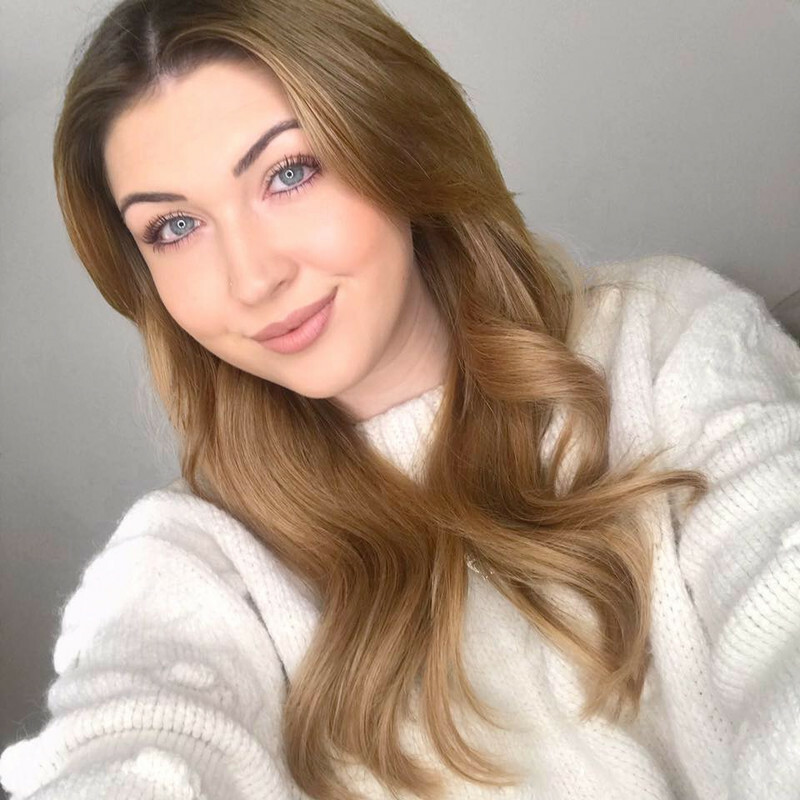 I discussed Tanning in my blog post here - Although I love the sun, I do not want to damage my skin as I am quite fair. 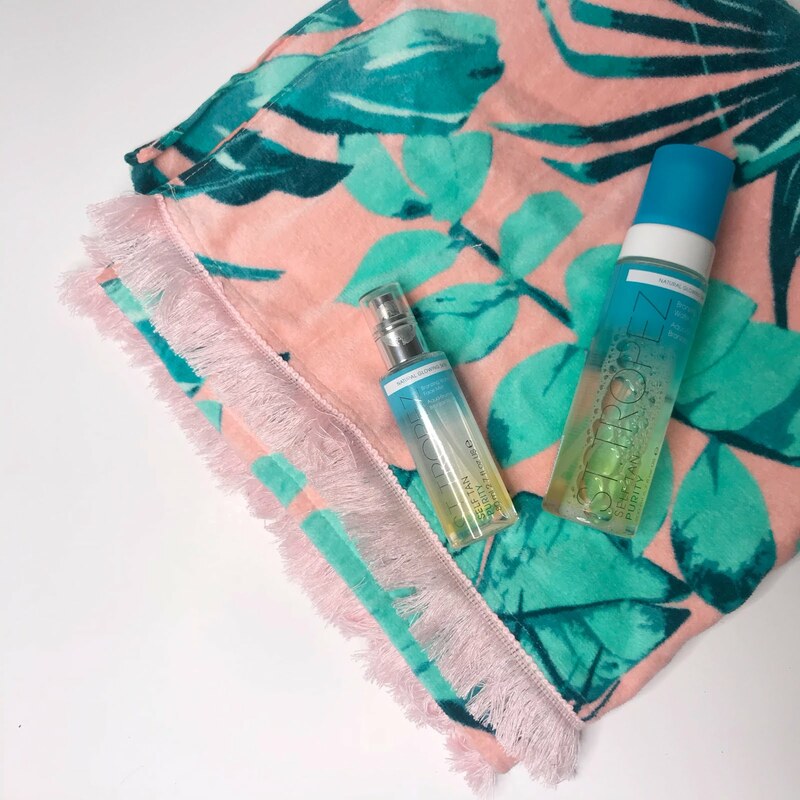 My all-time favourite fake tan is Bondi Sands foam but I have recently been trying the new Purity range by St Tropez, although it is a little more expensive, it doesn't transfer onto bed sheets which is amazing! I have also been using their face mist which creates a lovely glow. Highlight is a must for me on holiday, it gives that beautiful "Just out the sun" look. I have been loving the Iconic Prep Set Glow to set my makeup, not only does it smell AMAZING, it also gives you a really nice shimmer and you can use it all over your body. 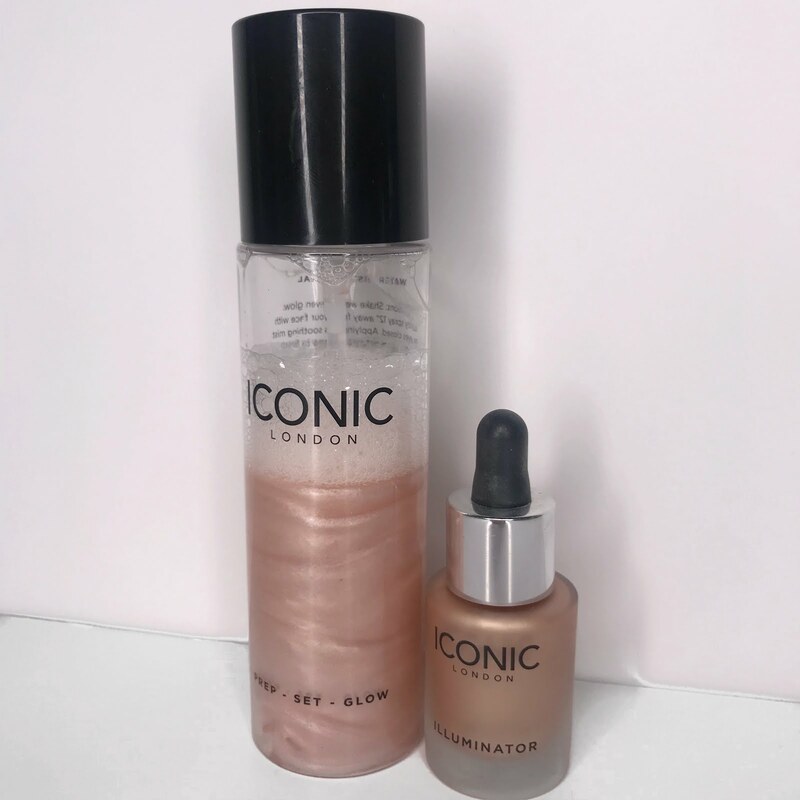 Their Illuminator drops are incredible for highlighting areas, the shine is unreal and I can not wait to use it in the evenings! It is so important to keep your skin hydrated with a good moisturiser, especially if you have spent lots of time in the sun. Not only does it restore your skin, it really will make your tan last! 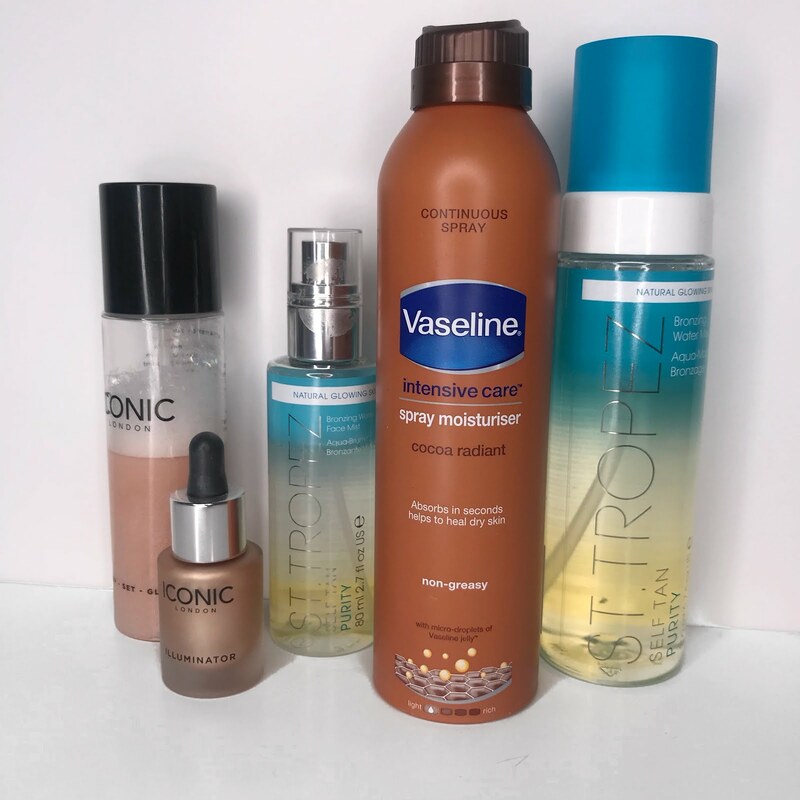 I love the Vaseline Spray Moisturiser as it drys instantly and is so easy to apply. Again, not really an essential but the only time I really wear wedges on holiday. I think they just go with every outfit! I bought these in a boutique in Cyprus a couple of years ago but I have found some similar here and here. Sunglasses are definitely an essential, not only do they protect your eyes but they also decrease wrinkles around your eyes as you are not squinting as much! I bought this pair from Topshop last year and they are still going strong (which is good for me because I usually sit on all my pairs!). 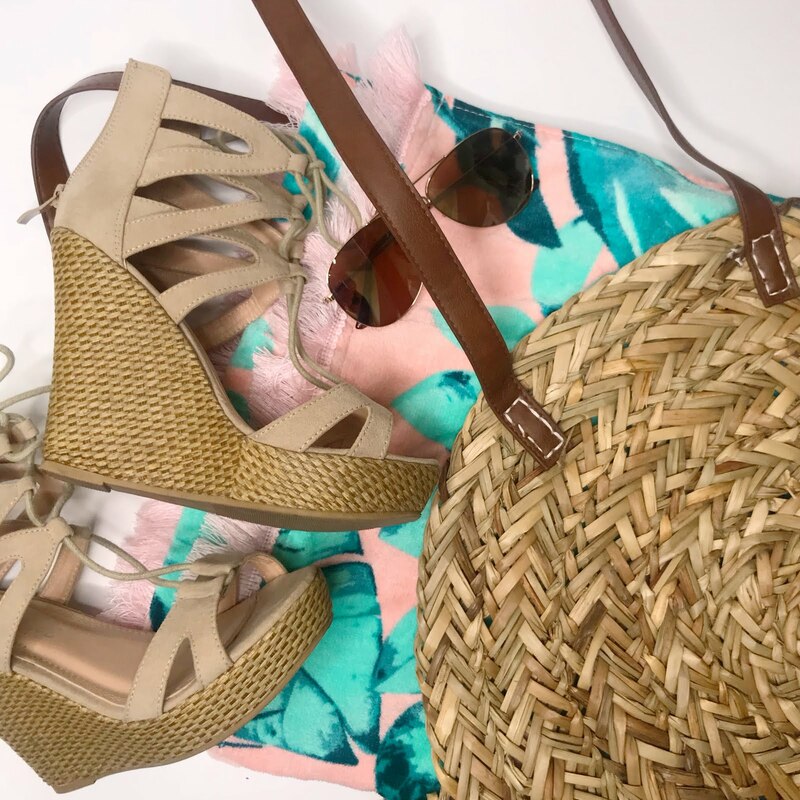 This is just a few of the items I always take on holiday, as well as the other essentials such as bikinis and suncream of course! I really hope this post has been helpful! Make sure to keep up with me on Instagram and Twitter!